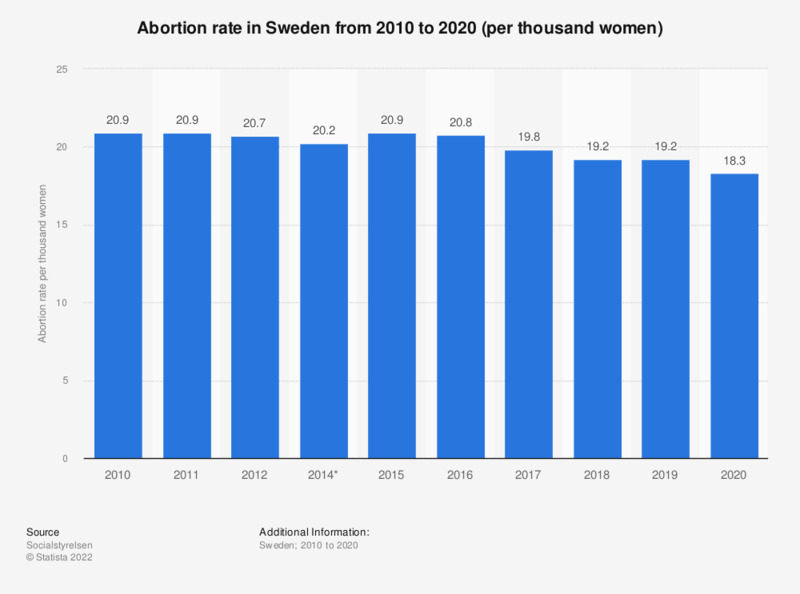 This statistic shows the abortion rate per thousand women in Sweden from 2007 to 2017. During the time under consideration, the abortion rate stayed on a relative stable level. The highest rate was reached in 2008, with 21.3 abortions per thousand women. The lowest rate was reached in 2017, with 19.8 abortions per thousand women. * In spring 2013, the collection of statistics about abortions was stopped. On the 1st of January 2014, collection of abortion statistics was resumed and the method for collecting data was changed. Therefore the abortion statistics for 2013 is not existing in this statistic and data for 2014 and later is not comparable to the earlier data. What do you think about connected pregnancy tests?